The Academy of Motion Pictures Arts and Sciences set a new benchmark in questionable choices today, when they announced the addition of a new Oscar for “Outstanding Achievement in Popular Film,” aka “Most Popular Movie But Not Necessarily Worth a Best Picture Nod.” Almost immediately following the announcement, some cinephiles and critics pointed out that the move was obviously designed to allow beloved blockbusters and superhero flicks — like this year’s Black Panther — to receive recognition from an awards show that typically overlooks them. In addition to its potential to confuse casual viewers, the award is a desperate ratings grab, not unlike the Academy’s decision to expand the Best Picture category from five to a possible total of 10 nominees for any given year. That change, enacted in 2009, was a response to the Academy’s snubbing of 2008’s The Dark Knight for Best Picture — what many fans felt was a particularly egregious oversight, considering the film received nods in eight other categories, including Heath Ledger’s posthumous nomination (and win) for Best Supporting Actor. Essentially, the Best Picture category was expanded so that it might included films with more broad appeal, thereby making the Academy look less snobby and elitist. There appears to be a similar motivation behind adding “Outstanding Achievement in Popular Film,” which would give movies like last year’s Wonder Woman and this year’s Black Panther a fighting chance at earning Oscar noms. The award could legitimize blockbuster heavy-hitters — if we’re being honest, they might as well rename this thing “Best Superhero Movie” because those are the films that stand to gain the most from the new category. Something like Get Out would also probably find itself in this category. Jordan Peele’s acclaimed social satire / horror thriller is one of a scant handful of genre films to be taken seriously by the Academy in its 90-year history. 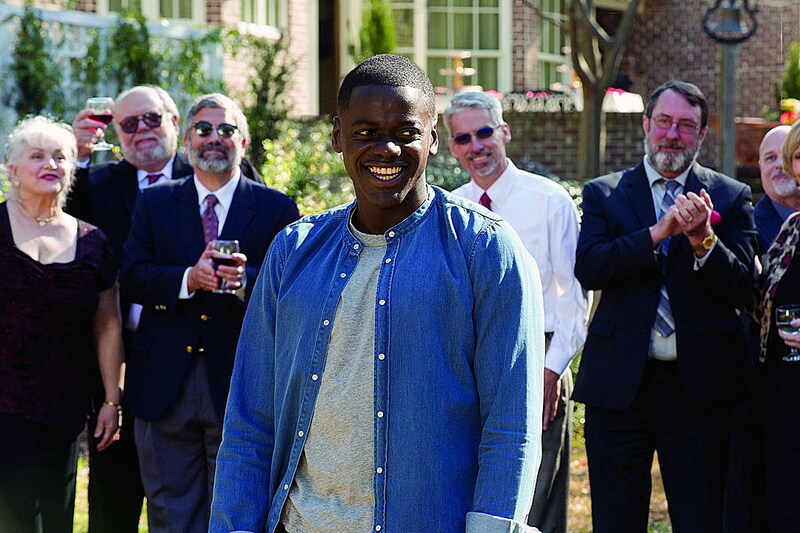 Despite defying expectations with nominations in four major categories, Get Out took home only one: Best Original Screenplay for Jordan Peele, who became the first black screenwriter to receive the honor. Wonder Woman. Black Panther. Get Out. Aside from being massive commercial hits beloved by an overwhelming majority of critics, these three films have something else in common: They were all directed by filmmakers who aren’t white men. Wonder Woman was directed by Patty Jenkins; her first feature film since 2003’s Monster (for which Charlize Theron won Best Actress). Black Panther was directed by Ryan Coogler, and boasted a predominantly black cast. Get Out was directed by Peele. It’s hardly coincidence that three studio films directed by a woman and two black men, that explored their respective margins in society, wound up becoming so successful and so popular. It’s just unfortunate that, in an industry dominated by white men, these films were seen as risky, bold, and subversive. Their perspectives were, in part, a reaction to the very system from which they emerged; the fact that they did so with those perspectives intact is nothing short of a miracle. You could argue that Jenkins’ gender and Coogler and Peele’s racial identity are part of what made their films successful — popular, even. Their individual perspectives are woven into the very fabric of each film. But if any of these films were to win the Oscar for Outstanding Achievement in Popular Film, it wouldn’t necessarily be a good thing. If you’re of the thinking that the Oscars are ultimately meaningless, it would just be another gold statue arbitrarily awarded to a rich person selected by a group of their peers (most of whom are still older white men, despite recent attempts to diversify the voting pool). However, for many cinephiles, members of the film industry, and the filmmakers themselves, an Oscar still holds meaning. It’s the highest honor and symbol of artistic achievement in cinema. What would it say if Black Panther earned a nomination for Best Popular Film, but not Best Picture? And what would it mean if Black Panther was nominated for Best Picture and Best Popular Film, but only won an Oscar for the latter? 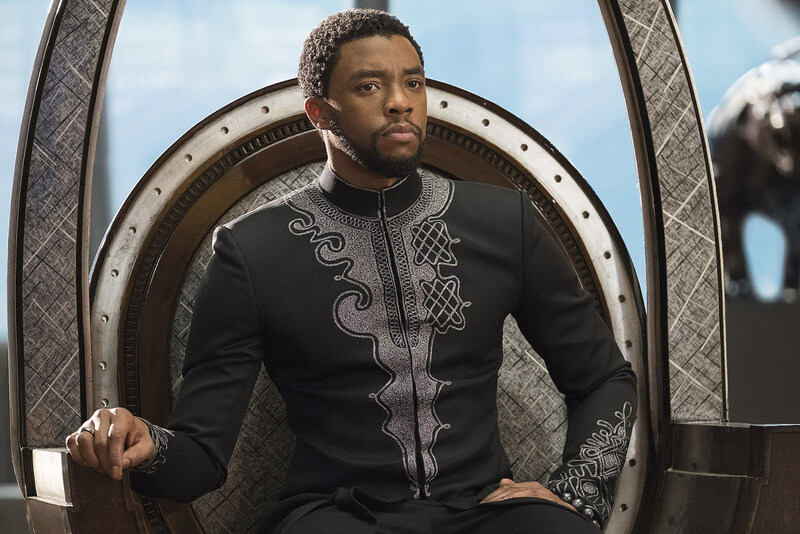 It would signal to audiences — and the industry — that Coogler’s astonishing afro-futuristic superhero film is more of a product than a piece of art; that it’s the most-watched and tweeted-about and liked, but not necessarily of the highest quality. Certainly, casual viewers might conflate the two categories. Your quirky aunt Linda would call you up and, after complaining that her “famous” potato salad was barely touched during her annual Oscars viewing party, would be so happy that Mamma Mia! Here We Go Again was rightfully declared Best Movie. You would then have to patiently explain that Cher’s new concert movie wasn’t actually awarded an Oscar for being the best film of the year, it was just given an award for being the one that general audiences liked and saw the most. Imagine the headache-inducing, hour-long conversation that would ensue. That’s just a wildly hypothetical example, of course, but the essence of it is this: Outstanding Achievement in Popular Film isn’t an award based on artistic merit, but on popularity. It’s the handsome jock at your high school. He’s not the smartest or even most likely to succeed, but he’s hot as hell and everyone laughs when he sets his farts on fire in chem class. The Best Popular Film Oscar is not something to strive for; it’s an insult. And it’s even more insulting to women and people of color (and, in what I presume is an eventuality, filmmakers from the LGBTQ community). It signifies that their film is not good enough to merit a “real” Oscar, but gives them one anyway to acknowledge that audiences liked it a whole bunch so it should be recognized in some prestigious capacity. It’s the award for most, not best. In this hypothetical situation, it validates the existing bias against women and minorities, telling viewers that their contributions do not deserve to be examined alongside those of their white, male peers. But, you protest, Guillermo del Toro and Alejandro Gonzalez-Inarritu and Alfonso Cuaron and Ang Lee have all won the Oscar for Best Director! Sure, and some of their films even won Best Picture — films that are predominantly about white people or that elicit white guilt (like 12 Years a Slave). In recent years the status quo has begun to shift a little, with Moonlight winning Best Picture in 2017, but it was still so unexpected that audiences didn’t bat an eye when La La Land was mistakenly announced as the winner. The notion that this new category is an obvious ploy for higher ratings and more viewers has the potential for being somewhat insidious, too; as if the Academy is conflating “wokeness” and diversity with being hip. Social awareness and fighting for equality are not just some hashtags you can slap onto your Twitter feed to generate bigger ad buys. So yes, Black Panther could take home an Oscar. Perhaps not the Best Picture Oscar, but an Oscar. And while attaching “Oscar-winner” to Ryan Coogler’s Marvel film sounds like a cool thing on the surface, closer examination yields more questionable — and possibly even problematic — results.